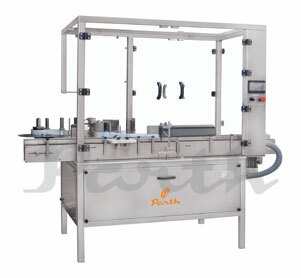 Self Adhesive Sticker Labeling Machines are used to label the round containers by partially or fully wrapping it around. 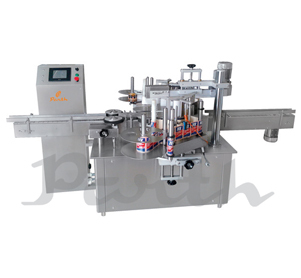 The 6 models which we have for the offering are Automatic Vial Sticker Labeling Machine; high-speed Ampoule/vial Sticker Labelling Machine, Automatic Horizontal Self Adhesive Labeling Machine, Automatic Double Side Sticker Labelling Machine Model, Vertical Labeling Machine – Automatic Vial Sticker Labeling Machine Model, Self Adhesive Bottle Sticker Labeling Machine Model. The sticker labelling machine has the competence to label no. 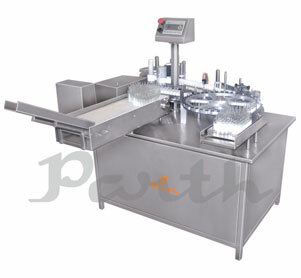 of varied containers per hour depending on the size of the container. 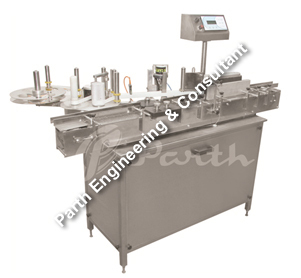 The machine incorporates a servo motor for label dispenser in order to obtain high accuracy. 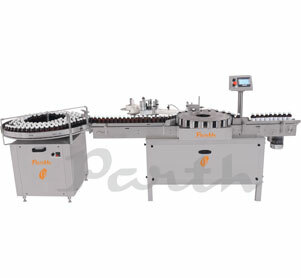 The higher production speed of the machine gives elevated output rates.